We are keen to hear about your recent visit. The information will be used to help improve the menu, the service and to ensure high standards are maintained. The feedback will take just 2 minutes and as a thank you we will send you a voucher to use on your next visit. Feedback responses are collected by Feed It Back, a research company commissioned by Marco Pierre White Restaurant to collect this information on Marco Pierre White Restaurant's behalf. All information collected by Feed It Back will be shared with Marco Pierre White Restaurant. 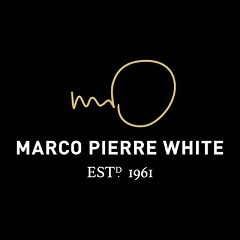 You can choose to share personal data with Marco Pierre White Restaurant and will be notified at that point during the process.